Nyako granted permission to travel abroad for medical treatment – Royal Times of Nigeria. 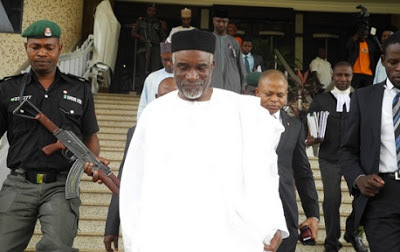 The Federal High Court, Abuja, on Thursday granted former Adamawa governor, Murtala Nyako, permission to travel abroad for medical treatment. Justice Okon Abang gave the permission after hearing an application filed by Nyako’s counsel seeking permission to travel. Justice Abang in his ruling said that he granted the application since the prosecuting counsel raised no objection. The judge further said he was inclined to grant the permission because Messrs. Nyako and and other defendants were always in court for their trial.